The mosque was built by the eponymous Muslim merchant-shipowner (nakhuda) in the 14th century. 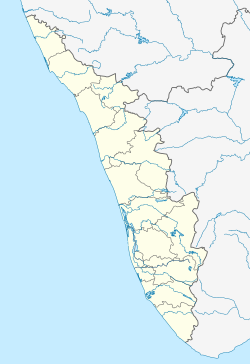 Mishkal - active in Calicut in the 1340s - possessed "great wealth" and a fleet of ships for "the trade with India, China, Yemen, and Persia". Ship-owners known as the nakhudas were among the wealthiest merchants of medieval Indian Ocean world. Mishkal Mosque is located in Kuttichira neighbourhood, a part of Thekkepuram beach in Calicut. ^ a b c Prange, Sebastian. ''Monsoon Islam: Trade and Faith on the Medieval Malabar Coast". Cambridge University Press, 2018. 78-81. 135-36. ^ a b c "Mishkal Mosque at Kuttichira". Archived from the original on 26 April 2009. Retrieved 3 November 2009. ^ a b Prange, Sebastian. ''Monsoon Islam: Trade and Faith on the Medieval Malabar Coast". Cambridge University Press, 2018. 78- 81. ^ "Mishkal Mosque". Retrieved 3 November 2009. Wikimedia Commons has media related to Mishkal Mosque.